Recently, my wife was trying to buy something on iTunes from her iPhone and she was asked to verify the billing information. When she tried to enter the security code on the back of the credit card, she would just keep getting “Security Code Invalid” even though it was perfectly correct. The odd thing was that I could buy stuff without any problems from my MacBook at home and from my iPhone. Anyway, after being very frustrated by this silly error, I finally got it to work by sheer luck. Actually, I could not figure out what the problem was so I just didn’t do anything until the next day. When we tried to enter the security code after 24 hours, somehow it magically worked. But after doing some research online, I found that this error can happen for all kinds of crazy reasons and it’s really annoying because you get no feedback as to why it won’t accept the security code. In this article, I’ve compiled a few of the reasons why it might fail for you and how you can try to fix the problem. The first thing you can do is to try and re-enter all the credit/debit card info and see if that works. In iTunes, go to Store and then View My Account. At the top, you will see a list of cards and the option for None. Go ahead and click on None and then click on Done. Once that has been saved, go ahead and click Edit again and type in your credit card info again. Hopefully, it will accept the card info and you’ll be able to make purchases. Another issue that caused the security code problem for a lot of people was the fact that their country of residence in iTunes was different from the country for their credit or debit card. So it’s a good idea to make sure the country for the billing address of your credit/debit card is the same as the country for your set region. For whatever reason, there are times when you may try to purchase something and the payment request is denied by Apple. This could happen for different reasons, but basically your account gets locked out until the balance is paid off in full. Unfortunately, the only way to do that is to use an iTunes gift card. So basically you have to purchase an iTunes gift card and then apply it to the balance. At this point, you account will become unlocked and you will be able to verify the security code for your credit card. Another reason this can occur is if the address you have entered in iTunes is slightly different than the address you have associated with your credit card. For example, if you live at 5525 North Mounes St and you have 5525 N Mounes St in iTunes, the two won’t match and you’ll get the security code error. So it’s best to go to the website of your credit card or debit card company and check to see exactly what the address is and then make sure that is what you have entered in iTunes. 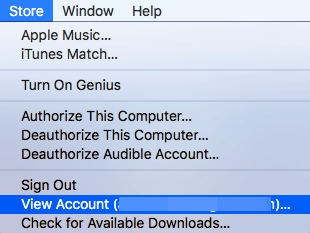 You can also try to select None as the payment in your iTunes account and then deauthorize the computer. Then go ahead and reauthorize the computer and enter the credit card info and hopefully you will be allowed to enter it without the error! Normally the problem is with iTunes, but there is the rare occasion where you might actually not have enough balance in your bank account or enough credit on your card to make the purchase. Check that as a last resort if nothing else is working. Also, you can try a different credit card if you really have to purchase something immediately, it should work that way. Hopefully some of these tips will get your card working again in the iTunes store! If you have a different issue or something not mentioned here, post a comment and I’ll try to help! Enjoy!